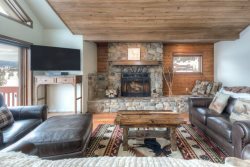 View a variety of four bedroom Big sky rentals homes available for your upcoming vacation. Complete with all the amenities and features of home and more, you are sure to sleep in comfort! This mix of homes and townhouses offer great locations, conveniently located to everything Big Sky has to offer. Don't wait, book online today! Fire Mountain Lookout- Overlooks all of Big Sky!